The Fun-Focused Free Software Voxel World Game. Voxelands was originally forked from the Minetest-C55 0.3.x codebase as a result of several core developers becoming disillusioned with the direction of Minetest 0.4. The goal was to put the fun back into the game, and stop trying to make it into an engine. Voxelands was added by tiemay in Oct 2014 and the latest update was made in Jan 2019. The list of alternatives was updated Jan 2019 There is a history of all activites on Voxelands in our Activity Log. It's possible to update the information on Voxelands or report it as discontinued, duplicated or spam. 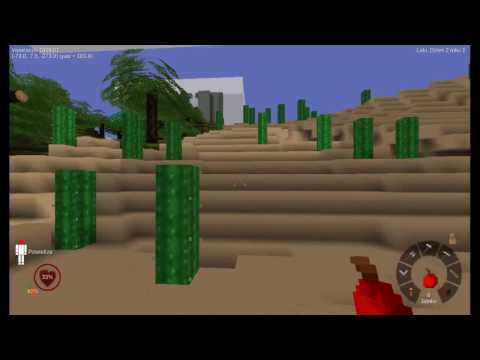 Minetest is a near-infinite-world block sandbox game and a game engine, inspired by InfiniMiner, Minecraft, and the like. Creativerse is a sandbox adventure game set in a beautiful yet treacherous world shrouded in mystery. A completely clean-room implementation of Minecraft beta 1.7.3 (circa September 2011). No decompiled code has been used in the development of this software. Stonehearth is a game of exploration and survival in an epic fantasy setting. Build your town, care for your hearthlings, and defend against marauding invaders. Alternatives to Voxelands for Windows, Mac, Android, Linux, iPhone and more. Filter by license to discover only free or Open Source alternatives. This list contains a total of 25+ apps similar to Voxelands. They can't get the latest build to compile for Windows. Windows builds seem to be pretty low priority for them. In related news, my next web app will only be tested on Opera and likely won't work in Chrome, Firefox, or Edge.